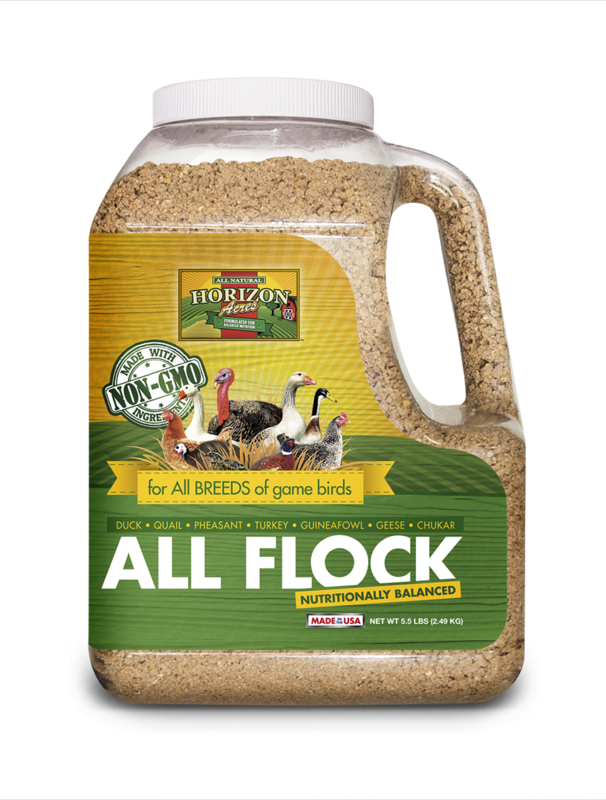 Horizon Acres Non-GMO All Flock is a premium 20% feed designed to be fed to all poultry including: turkeys, ducks, geese, guineas, pheasants, quail and chickens. It is free of genetically modified ingredients, medications and hormones. Made from ingredients grown by local farmers, it is a naturally nutritious feed for all mixed flocks of poultry. 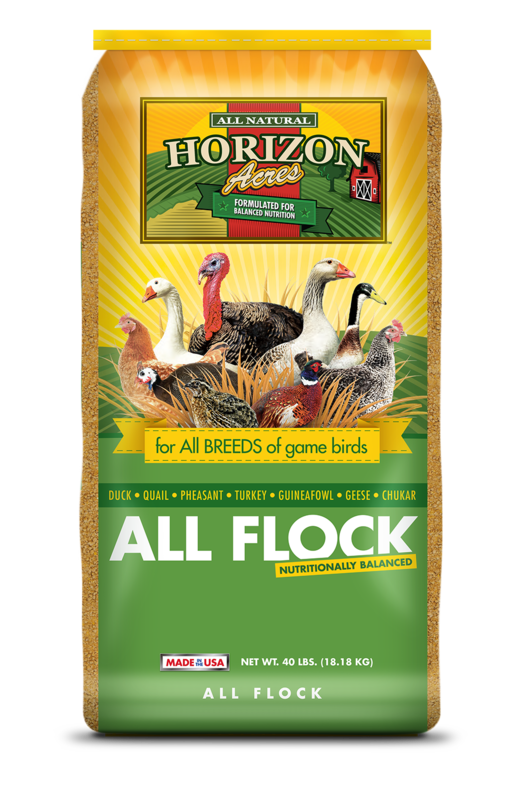 Horizon Acres All Flock is a 20% feed designed to be fed to all poultry including: turkeys, ducks, geese, guineas, pheasants, quail and chickens. Made from ingredients grown by local farmers, it is a naturally nutritious feed for all mixed flocks of poultry.